Comments: Ring the klaxon and wave your clackers, we’ve got a new ground! I’ve finally made that Lord of the Rings style pilgrimage to the far ends of flat Middle Earth for a pie at Ipswich Town. And, even better, they’ve got their own unique pie…the Portman pie! I hadn’t been this excited since that time Ian Pearce scored a last gasp equaliser against Portsmouth with only one functioning leg. So, what exactly is a Portman Pie? Firstly, it costs a hefty £3.60 – the equivalent of a Ross McCormak or one and a half James Chester’s in Championship terms. So, unlike James Chester and Ross McCormak, are you getting more bang for your buck? With boulders of beef stuffed like a powder keg and wrapped in an Adnam’s Ale gravy you’re certainly dealing with a crust above the rest. The hearty beef and ale mix resembled a truly English creation that wouldn’t seem out of place wedged between Laurence Olivier’s hammy mitts as he gallivanted round as patriotic crusader Henry V. Instead of the usual lightness of a flaky pastry top, the pie had a symmetrical dome that was measured precisely enough to make your inner OCD weep. The pastry itself holds together with a cement like intensity and tastes almost like sourdough. 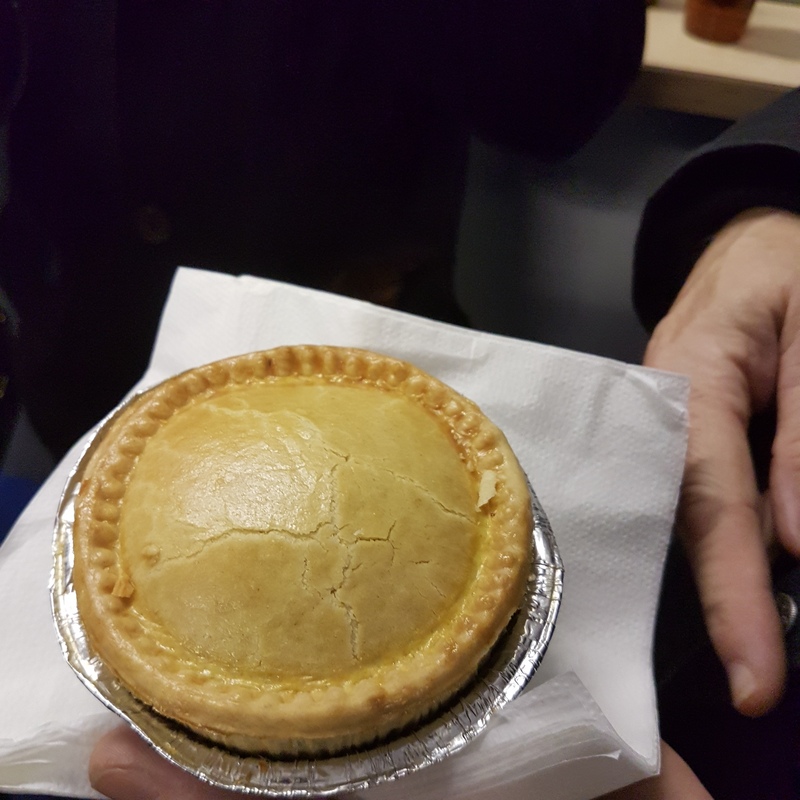 Perhaps a slightly sweeter touch to the pastry would have really pushed the pie into the promotion places, but at this point in the season anything that’s not Pukka or Holland’s is a winner. To top it all off, Ipswich even gave out free mince pies for the festive day – back of the net! 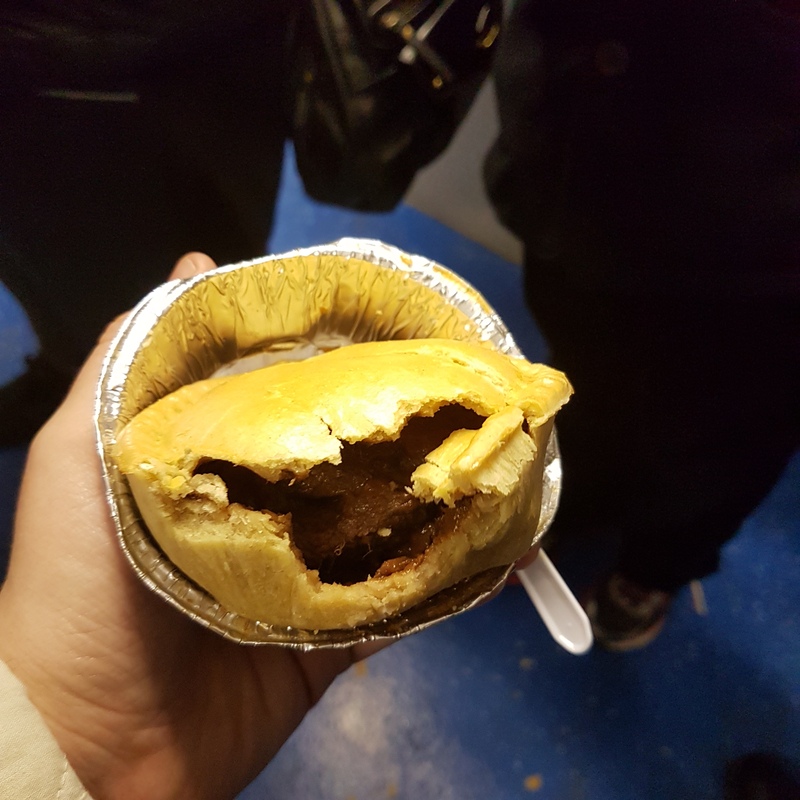 As we all know, you can’t play good football and have decent pies. Hence why Ipswich are amongst the worst team I’ve seen all season. The basic premise of kicking the ball to a teammate seemed far beyond their ability. At times their play became so hoof based I was concerned we’d soon run out of balls as the majority were to be found somewhere orbiting Mars. To be fair, if I had Portman Pies on hand every week I’d be less than bothered about playing for Big Mic and TC.